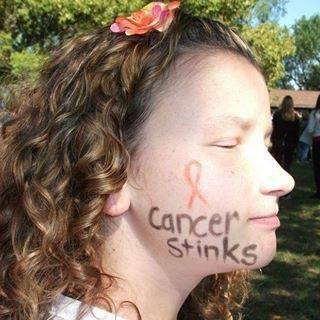 Every 36 minutes, one more child in the United States is diagnosed with cancer. Each year there are 15,000 new childhood cancer patients, and there are over 40,000 children who are currently in treatment. Two out of three children who survive will suffer lifelong effects caused from their cancer treatments. Our children need—absolutely need— politicians, celebrities, businesses, sports organizations, essentially everyone who walks the Earth and breathes, to act to #EndChildhoodCancer We are all called to be Gold Spokes in the Wheel speeding its way to cures. One of the stellar “Gold Spokes” in the “Wheel” on its way to end childhood cancer is Hyundai. On this day, Hyundai is kicking off their 16th annual Hyundai Hope on Wheels program. Over the past 16 years, they have raised over $86 million to fight pediatric cancer. Yes, $86 million! 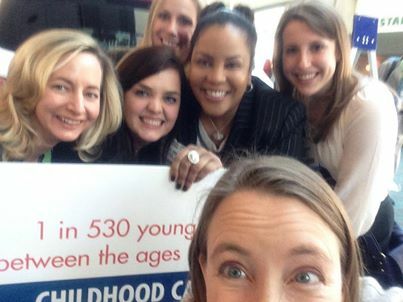 Michelle Williams has recently joined Hyundai to help them in their wish to #EndChildhoodCancer. On April 9th of this year, Hyundai Hope on Wheels announced a $2 million grant they awarded to fund Children’s Oncology Group’s Project:EveryChild. This grant will allow doctors and researchers access to thousands of cancer specimens in an enormous database at the Hyundai COG Biorepository. Now that we see how this automobile manufacturer, Hyundai, has huge ambitions to help our kids, I HOPE more and more consumers will turn their attention and their dollars to show their appreciation to Hyundai. Thank you, Hyundai Hope on Wheels! 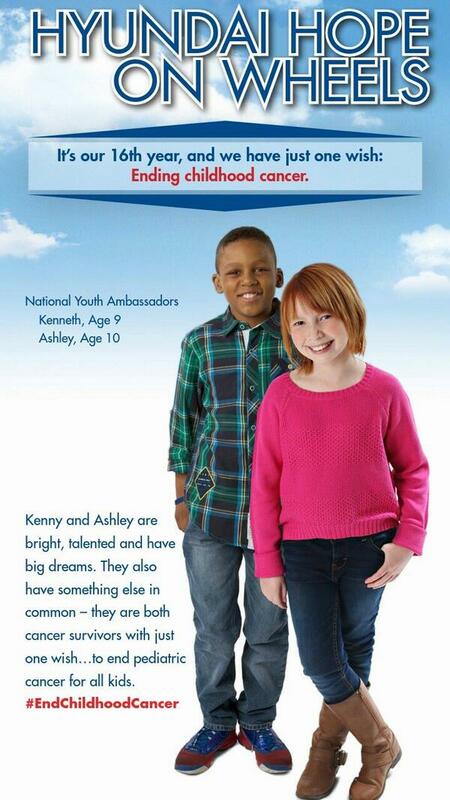 Very best wishes to youth ambassadors, Ashley Burnette and Kenny Thomas! Suzanne Shelpman is one of Melinda’s Facebook friends. I notice Melinda and Suzanne have 233 “friends” in common. Suzanne is not a high school friend, or a Pepperdine friend; Suzanne is a caring, concerned advocate for children with cancer. Suzanne keeps track of countless CaringBridge sites and Facebook pages where families post the latest updates on their child’s treatments, scans, and health reports. She follows the journeys of many children, and she writes beautiful posts on her Facebook page so that others can join her in caring, sharing, and praying. She saves all year long so she can donate to support friends who are raising money for childhood cancer research. This is one of Suzanne’s latest updates about Carly, who we have all been praying for. 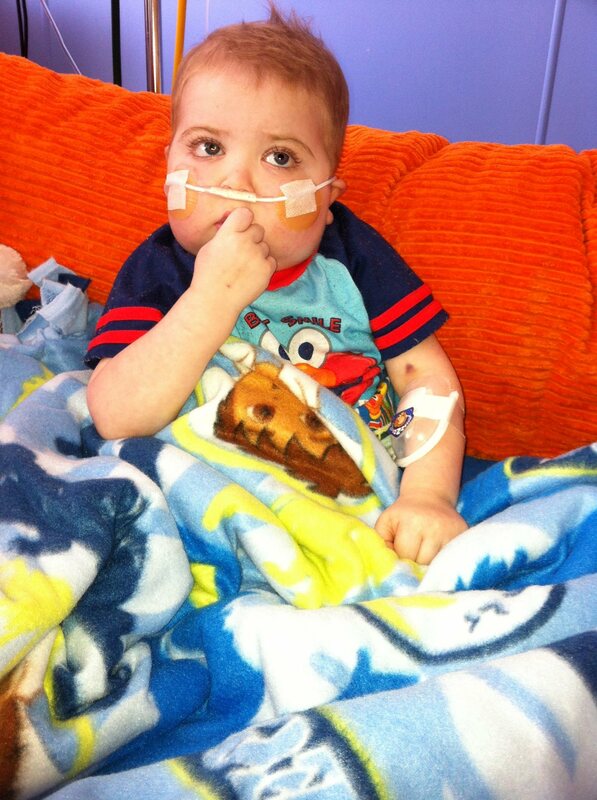 And please remember Bryson! Not everyone can create and run a foundation, like so many childhood cancer families have successfully accomplished. 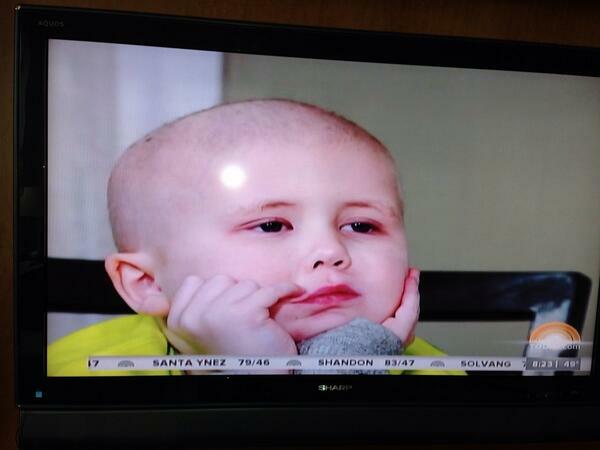 Not everyone can create an Emmy Award-winning childhood cancer documentary, like Mike Gillette. Not everyone can go after the entire United States to light it GOLD, like Tony Stoddard. Not everyone can shave their head in support of their cancer-fighting friend, like Kamryn Renfro did for Delaney Clements. Likewise, not everyone can do what Suzanne so lovingly does each and every day of her life. She uses her life to help better the lives of children who are suffering. Each one of us has something unique we can give to children fighting cancer. Each gift is like a Gold Spoke in a Wheel. All of these Golden Spokes are equally important and equally necessary to keep the Wheel moving forward. The Wheel must move quickly forward, because we have children’s lives to save. My deepest thanks to Suzanne. Your sincere love is inspiring, and it encourages all of us to look inside to find our very best selves. My deep thanks to all of you Gold Spokes out there who keep loving, giving, and sacrificing for the goal of ending childhood cancer. The Truth 365 is launching a campaign to invite Taylor Swift to be an official celebrity spokesperson for children with cancer. They have been communicating with Taylor’s “team” and believe she may consider helping out. Do you remember the song she wrote for Ronan? Ronan Thompson was diagnosed as a toddler with stage-four neuroblastoma– cancer stole him away just eight short months later. Maya Thompson blogged about her son’s illness, and her moving story found its way to Taylor. Maya received a phone call from Taylor, telling her she wrote a song for Ronan. “As a way to thank Taylor Swift for her years of kindness toward kids with cancer we are launching a social media campaign called #ThankYouTaylor. Step 1. Take a photo with a message for Taylor that includes the hashtags #ThankYouTaylor and ‪#‎thetruth365film. Photos can be of individuals, groups, pets or anything that you can think of. 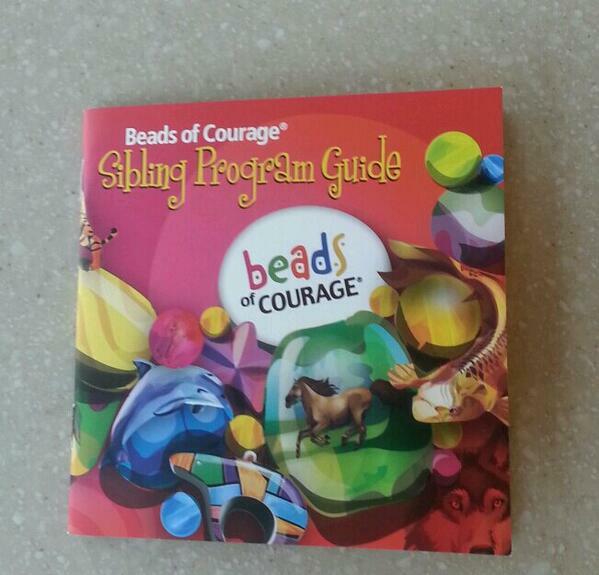 Children fighting cancer are strongly encouraged to participate. Step 3. Be sure to tag it with the hashtags #ThankYouTaylor and #thetruth365film so that we can find your image. What a great day it is Today! 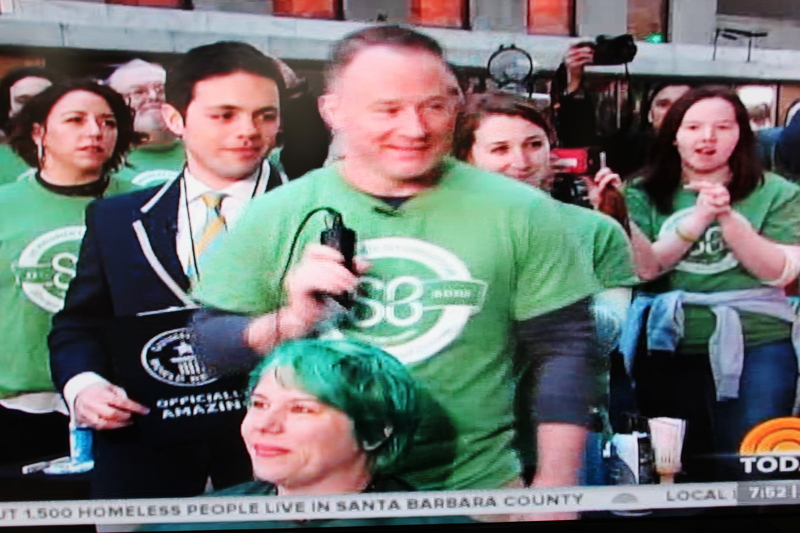 Childhood cancer advocate and barber, David Alexander, teamed with St. Baldrick’s to break the record of the most heads shaved in one hour by one barber. In the past, David has raised over $600,000 for pediatric cancer research. I read that he even has a St. Baldrick’s tattoo on his chest! Today, David shaved 73 heads of hair back to their shiny domes live on the Today Show to beat the world record– with eleven seconds to spare. This record shave is a huge thrill for everyone working to end childhood cancer. Hearty congratulations and thank you, David! The camera turned to the very first person who would become bald. I recognized her immediately as Susan Heard. Memories of her son, David, and his origami cranes filled my mind, then my heart flooded with sorrow. My eyes filled with tears. I could see the celebratory mood of everyone in the crowd, but my eyes would not leave Susan’s eyes. As only another mom could, I felt I could see in her eyes what she was feeling at that moment. It was all for David. It was all for love. Viewers of the Today Show this morning got a short glimpse into the world of what “lengths” childhood cancer advocates are willing to go to in order to make a brighter future. 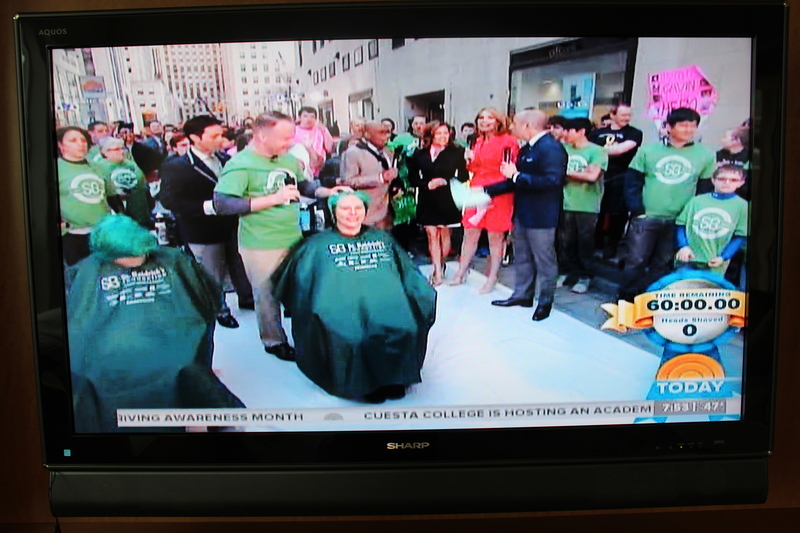 Record-breaking excitement, hair flying to the ground, and Today Show appearances are great. What is beyond great is that people like Susan Heard are choosing to use their pain to lead all of us. Would you like to make a donation on this record-setting event & help fund childhood cancer research? There was a story in the news last week that grabbed my attention because our family is what you call “a baseball family.” Melinda’s brothers played Little League ball, her dad coached, and she sat in the stands for countless games, cheering her brothers on. My first trip to a major league baseball game was to see the Red Sox play at Fenway Park in Boston in the late 1960’s. Gosh, do I ever I remember the excitement of seeing the Green Monster and my favorite player, Yaz—Carl Yaztremski. 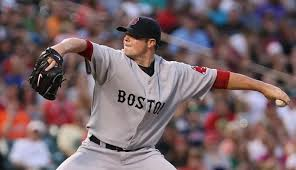 So, when I read last week that Boston Red Sox pitcher, Jon Lester, is raising money and awareness for pediatric cancer, my Red Sox Fan Meter went sky high. Jon Lester was diagnosed with non-Hodkins Lymphoma in 2006; now he and a few of his teammates, along with players from other teams, are working on a project called “Never Quit” to encourage children battling cancer. For many children, meeting a major league ballplayer would be the thrill of a lifetime. For children in cancer treatment to be able to meet Jon- a cancer survivor himself- has got to be highly inspirational and even healing. Is there anyone else thinking what I am thinking? I think Mr. Jon Lester needs to meet Mr. Tony Stoddard. In case you missed yesterday’s post about what Tony Stoddard is doing to help children with cancer, you must know! Every time I hear of someone using their lives to help children with cancer, it inspires me and encourages me to do the same. Whenever I join with others who feel strongly about the importance of making a change in the world of childhood cancer, the results of the outcome of our work jumps exponentially. This is what will happen when Jon and Tony meet. Tony, I think Jon might know one or two people in the Front Office at Fenway Park. I think Jon might know a bit about how one would go about Lighting Major League Baseball Stadiums yellow and gold for Childhood Cancer Awareness Month in September. And the best news of all, Tony, I will bet—I will double-down—that Jon has a heart that is willing to help you make this happen. Jon, will you please help honor these warriors? Will you please help Tony spread awareness that will lead to funding for cures? From the work you have already done, you’ve demonstrated you feel our children are worth every bit of effort and sacrifice. Thank you for all you are doing, Jon, and thank you for your consideration to step up to the plate to accomplish even more… for Tony… for Cole… for all the kids who should never have to face the Monster. The only Monster I want our children to face is that big Green One I marveled at as a kid at Fenway Park! …if we would choose to take care of our children first. Tony Stoddard is a leader in the world of childhood cancer advocacy, believing our kids deserve the best we can provide. Melinda and I have great respect for this man, his mission, and his brilliant campaign to color our country gold for Childhood Cancer Awareness Month in September. 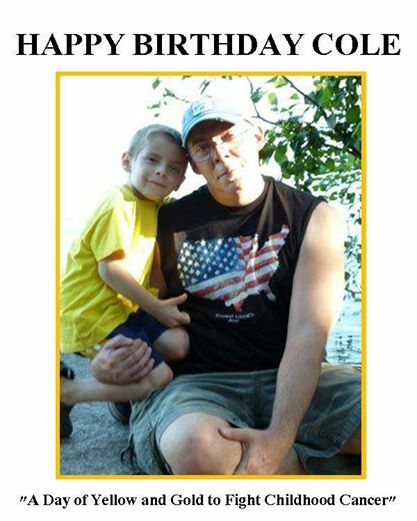 Along with Tony, we honor the memory of his son, Cole. “This past September I was mired in grief at the loss of my precious five year old son Cole. 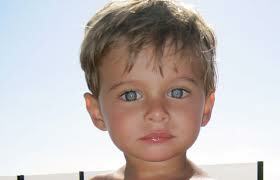 He passed away from neuroblastoma cancer on January 20th 2012. 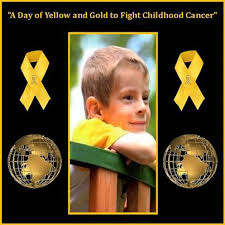 I created my page “A Day of Yellow and Gold to Fight Childhood Cancer” to honor the memory of my son Cole and all children who have faced the monster that is Childhood Cancer. I am not sure where or when the motto, “Women and children first” went out of style. I have a sneaky suspicion it left the moment our nation decided money is paramount. I have suspicions it left because treating children with cancer is not a profitable business, unlike treating adult cancers. I suspect it left because we have lost ourselves in adult selfishness. Today, I ask you to take a stand with Tony for Cole. Take a stand with Tony for all the children who have fought, have suffered, and have taught us that they are worth every bit of “guts” we need to spill to see they receive a much different future. Tony is right. Without awareness, kids with cancer will continue to be treated with “antiquated treatments,” and funding for research will remain frighteningly low. If you haven’t already, please like Tony’s page to color our country yellow and gold. While you are there, tell him how much you appreciate what he is doing for our children. Tell him his heart and the “guts” he is spilling for our dear children are making a difference. Steer your heart under Tony’s wings and help his mission to end childhood cancer soar! Please give a few moments of your time to be an advocate for kids with cancer. Melinda will be back soon!